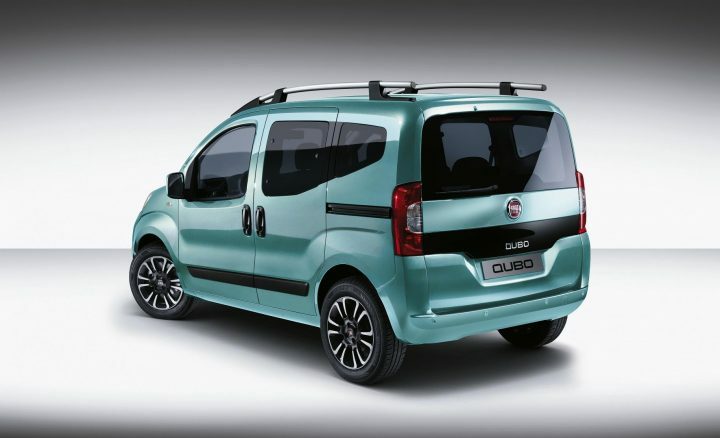 The new Fiat Qubo MPV is now available to order in the UK. Part of the functional family, alongside the popular Panda, versatile Doblo and all-new Tipo hatchback and station wagon, the Qubo retains its 3.96m long and 1.7m wide dimensions meaning it continues to mate the footprint of a supermini with the interior more like that of an MPV with ample room for five adults and a capacious 250-litre boot – which grows to 650 litres up to a maximum 2,500 litres with the rear seats removed. Equipped with the optional folding of the front seat passenger, the Qubo is even able to accommodate long objects of up to 2.5m. The Qubo is available in three trim levels: Pop, Lounge and Trekking. Standard equipment on the entry level Pop model includes remote central locking, electric front windows with one-touch lowering, electrically adjusted and adjustable door mirrors, body coloured bumpers and mirror covers, height-adjustable driver’s seat with lumbar support and an arm rest and opening rear quarter-light windows. Safety equipment includes ABS with EBD, ESC with ASR, HBA, Hill Holder system and front and side airbags. The Pop version is powered exclusively by FIAT’s reliable and robust 77hp 1.4-litre petrol engine and is priced from £11,695. The Lounge version adds air conditioning, front fog lights, the colour five-inch Uconnect touchscreen infotainment system with Bluetooth, steering wheel remote controls, steering wheel and gear shifter trimmed in leather and 16-inch alloy wheels, all for a premium of just £1,000. It is available with the 77hp 1.4-litre petrol engine, priced at £12,695, and the 80hp 1.3-litre MultiJet II turbo diesel, priced from £14,695. FIAT’s Dualogic automatic transmission is available on the diesel version. The new Qubo Trekking, with its raised suspension and Traction+ electronic front differential, builds on the impressive Lounge specification by adding special bumpers, side mouldings and alloy wheels as well as dark tinted windows, roof bars, rear parking sensors, cruise control and the 95hp 1.3-litre MultiJet II turbo diesel as standard. Pricing for the Fiat Qubo Trekking starts at £15,695. Mazda2 Red is the latest model in this popular series. With high levels of standard specification, eye-catching styling enhancements and a striking cabin, the Red Edition’s stand-out appearance complements the Mazda2’s KODO: Soul of Motion design and sporty proportions. Offered with a choice of free-of-charge Snowflake White Pearlescent or Black Mica paint, the Red Edition’s youthful design cues include Soul Red accents on the wing mirror covers, rear spoiler and rear underskirt, while the bespoke look can be further heightened with optional £300 Dark Gunmetal 15” alloy wheels. 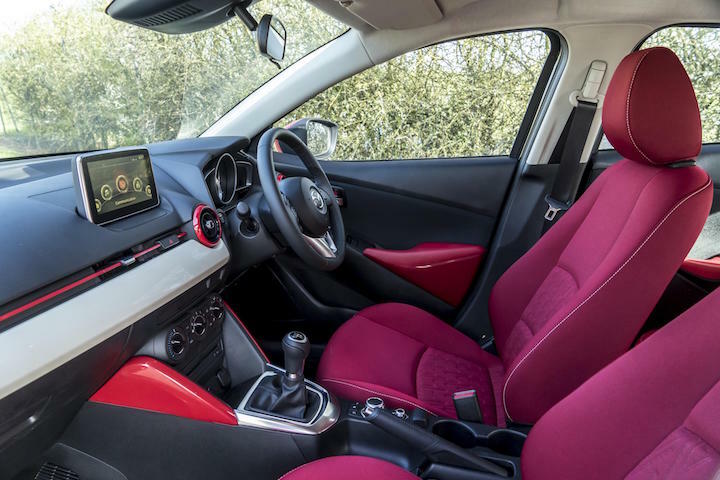 The £14,995 on-the-road Mazda2 Red Edition is limited to just 400 cars.